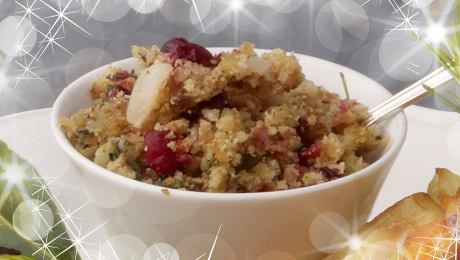 A festive take on traditional stuffing. Soak the cranberries in a little port for up to an hour. Gently fry onion and garlic mixture with the butter until soft but not coloured.